VMAQ-2 "Death Jesters" Command Bird EA-6B BuNo 162230. VMAQ-2 "Death Jesters" EA-6B BuNo 162228. VMAQ-2 "Death Jesters" EA-6B BuNo 163047. This Google map shows where each EA-6B is located and the BuNo around the country at time. 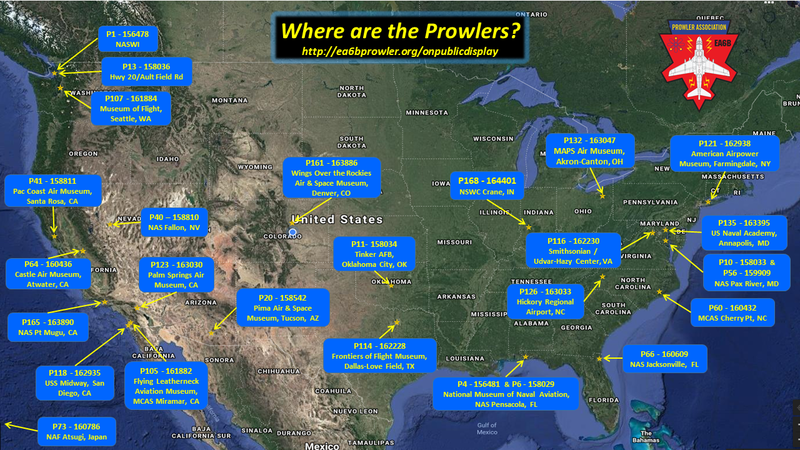 Compliments of the Prowler Association.